Furnace Oil Furnace Oil Shaikh Petroleum was established in the year 1983 under the dynamic leadership of Late Mr. Gulambhai Shaikh. SHAIKH Petroleum established more than two decades ago. “SHAIKH PETROLEUM” is one of the reliable names in the Oil & Petroleum Market in Bharuch Dist. Shaikh Petroleum is wholesale & Retail Suppliers of Light Diesel Oil & Furnace Oil C9 C10 & MTO. Brief About Products: Light Diesel Oil Light Diesel Oil falls under class C category fuel having flash point above 66OC. It is a blend of distillate components and a small amount of residual components. It is marketed under BIS 1460-2000 specification for Diesel fuels. Furnace Oil is a fraction obtained from petroleum distillation, either as a distillate or a residue. Broadly speaking fuel oil is any liquid petroleum product that is burned in a furnace or boiler for the generation of heat or used in an engine for the generation of power, except oils having a flash point of approximately 40 °C (104 °F) and oils burned in cotton or wool-wick burners. In this sense, diesel is a type of fuel oil. Fuel oil is made of long hydrocarbon chains, particularly alkaline, cyclo-alkaline and aromatics. The term fuel oil is also used in a stricter sense to refer only to the heaviest commercial fuel that can be obtained from crude oil i.e. heavier than gasoline and naphtha. Furnace Oil is a residual fuel (motor spirit / gasoline, high speed diesel and kerosene are distillate fuels). It is a dark, viscous liquid at room temperature. It is a complex mix of hydrocarbons with carbon atoms ranging mainly from 20 to 55. It is produced by blending residues from various refinery processing units and diluting with middle distillates. SPECIFICATION Furnace oil in the current marketing range meets Bureau of Indian Standards Specification IS : 1593 – 1982 for fuel oils, grade MV2. 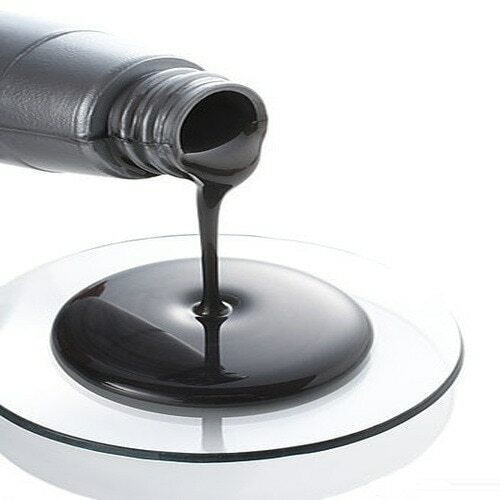 VISCOSITY Viscosity is the most important characteristic in the furnace oil specification. It influences the degree of pre-heat required for handling, storage and satisfactory atomization. If the oil is too viscous it may become difficult to pump, burner may be hard to light and operation may be erratic. Poor atomization may result in the carbon deposits on the burner tips or on the walls. The upper viscosity limit for furnace oil is such that it can be handled without heating in the storage tank is excepting under server cold conditions. Pre-heating is necessary for proper atomization. SAFETY INFORMATION Reactivity Data – Chemically stable and incompatible with strong oxidizers. Does not React vigorously with common materials but can react with oxidizing agents Health Hazard Data – Routes of entry may be through inhalation/ ingestion/ skin/ eye. EFFECTS OF EXPOSURE / SYMPTOMS Ingestion – may cause spontaneous vomiting, irritation of mouth throat and gastro intestinal tract. On prolonged exposure it makes skin dry, erythema oil acne, development of warty growths which may lead to skin cancer, skin cracking and contact dermitites. As it is handled at a high temperature, skin contact could produce burns. On exposure to eye it may cause light to moderate irritation. Ingested – do not induce vomiting as it may lead to chemical pneumonitis. Remove contaminated clothing immediately and wash affected area with water and soap. If eyes are affected, irrigate liberally with copious amounts of water and seek medical advice. We are leading supplier of Furnace Oil in Bharuch, Vadodara, Surat, Gujarat SHAIKH PETROLEUM is Gujarat's largest manufacturing company into Furnace Oil. We are leading supplier of Furnace Oil in Gujarat, India. Furnace Oil.